I can’t quite remember when I first met Fiona, but, you know, us Thistles need to stick together, so I have been reading her blog ever since. She has just returned from what looks like an amazing trip along the Silk Route, you should really go and check out the photos in her recent posts. With Katy cracking the whip this year for the FAL, I suspected that there would be lots of wonderful finishes to report each quarter. Lots of finishes means lots of scraps, so my tutorial for you today is on one more way to use up those ever-increasing scraps. I was looking for a birthday card for my daughter-in-law recently and came across some lovely stitched fabric cards, but as you will probably recognise when I looked at the price of them, my immediate reaction was I could make these for a lot less than that! So in the spirit of helping you to use up your scraps and economise at the same time, here is my tutorial for fabric cards. 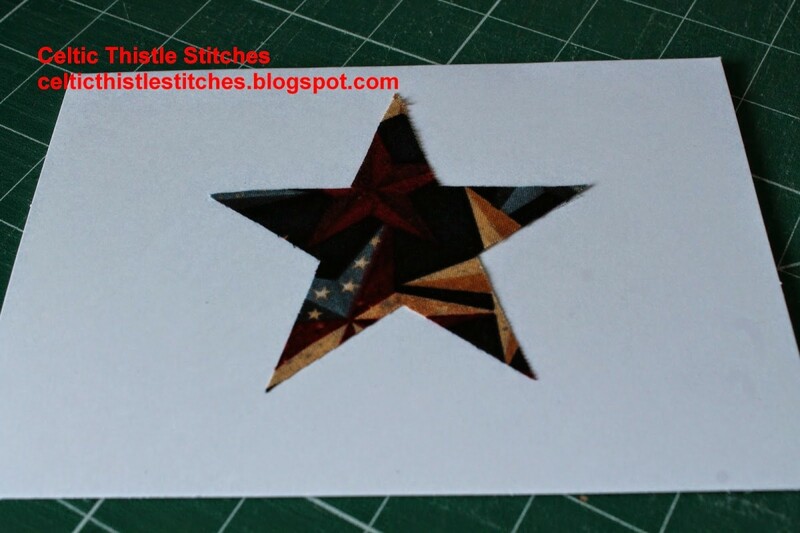 Trace or draw a template on to the paper-backing of the double-sided fusible web. For the teapot card above I used this template from the Martha Stewart website, and used a biscuit cutter for the star template in the card below. Remember to reverse your image if you are using letters as I did in a couple of the cards!! Fuse the drawn template to the reverse of the fabric scrap. Cut around the outline. 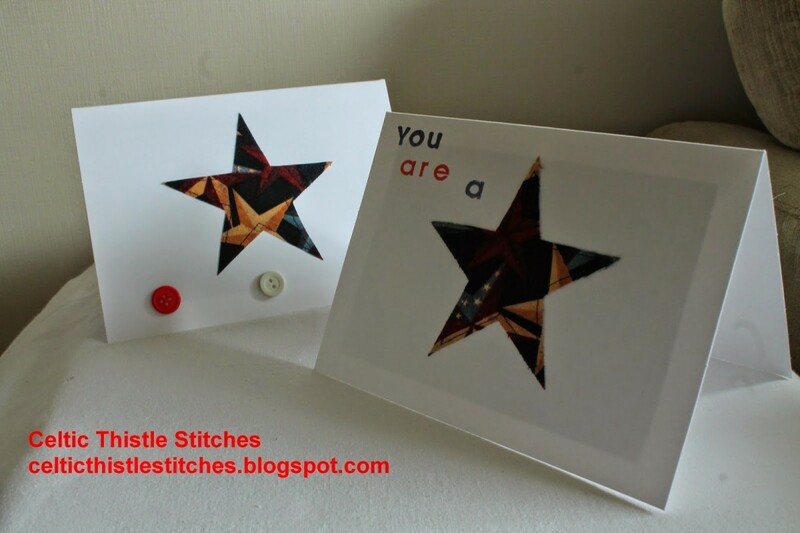 Peel off the paper backing and adhere the fabric shape to the centre of your card blank. You might need to scratch the paper backing with a pin to create an edge that will allow you to lift the paper from the fabric. 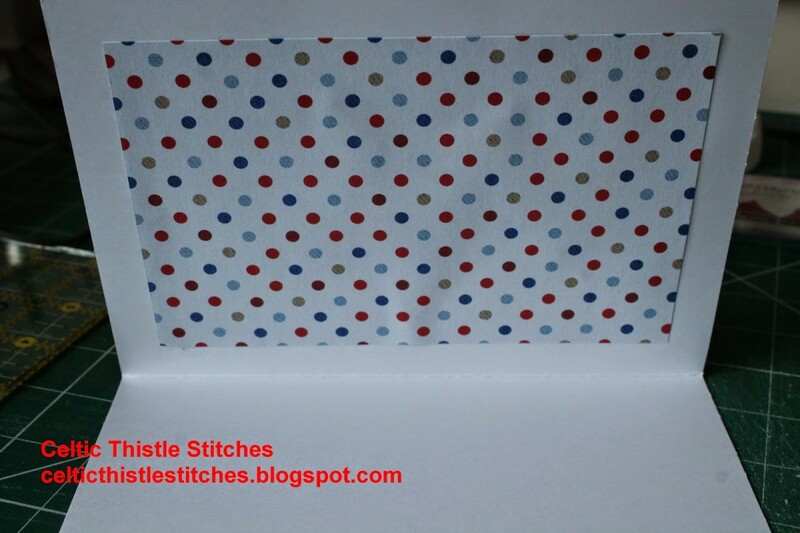 The fabric will adhere to the card without any need for pressing. Stitch around the fabric shape just inside the raw edge. I tried this with both a regular stitch length and with the length reduced to zero and found that it was easiest with the regular stitch length. Reducing the stitch length to zero made it much more difficult to feed the card through the machine, and also caused the thread to snap several times. If you have an old needle that you use for paper-piecing use it for this stitching as it will be quite hard on your needle. Tie off the ends at the back, they will be covered in the next step so the knots will not show. 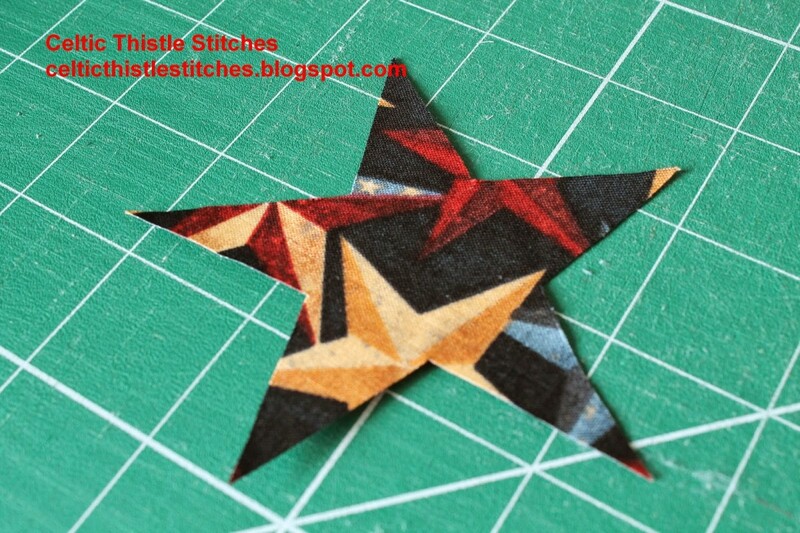 Attach strips of double-sided sticky tape to the reverse of your patterned paper piece. Centring the paper adhere it to the back of the stitched card front to cover the stitching on the interior of the card. 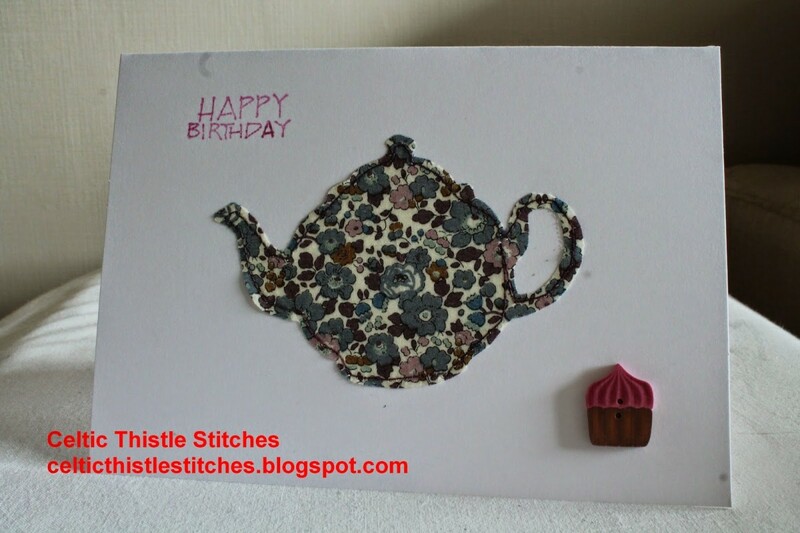 Embellish the front of your card with buttons, stamps, etc. Write your message on the card interior and congratulate yourself on another finish and on finding another use for your scraps! Sometimes I do confuse those two thistles 🙂 Well done Fiona! Super idea, great for birthdays and holidays. 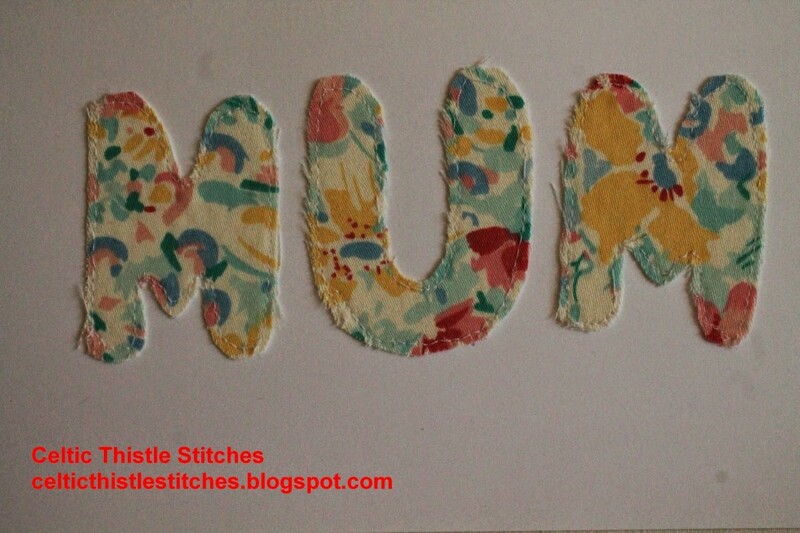 It's always great to get tips for using up our scraps, funny out they grow so quickly! I love this idea . So creative . Personalised cards are always a hit and look so pretty! A hand made card is always special. Thinking some one spent the time in making it especially for you. This is an excellent idea, thank you. Great way to use up scraps, Fiona. Thanks for the tip on the double sided tape. I've always used glue, which has distorted the card.